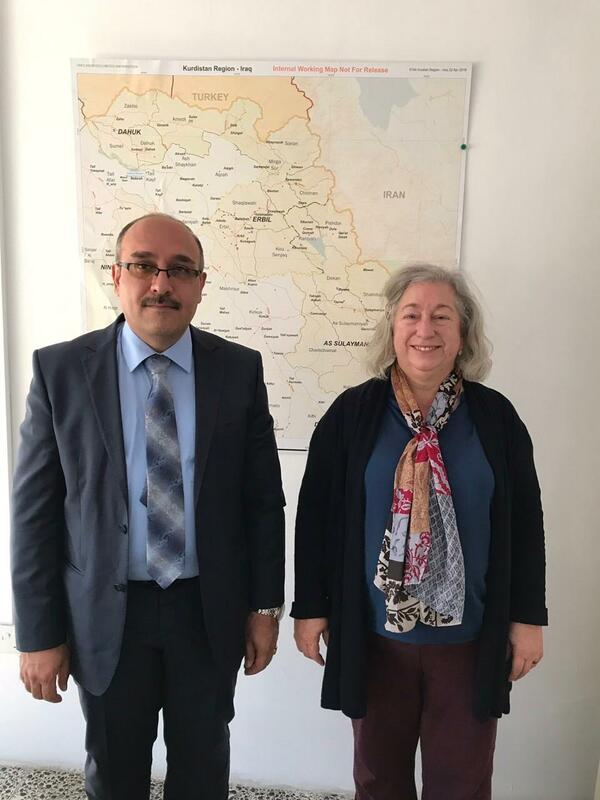 The president of Assyrian Aid Society-Iraq, Mr. Ashur Eskrya, met with Mrs. Shari Ulery from the Political Section of the US Consulate in Erbil on Monday Mar. 19th 2018. The meeting discussed the reality of the religious and ethnic components after the liberation of the Nineveh Plain areas from ISIS, as well as the situation of IDPs and the need to restore confidence among the components of the social fabric of the liberated areas, and the role of the United States in the future and the attention given to increase support for the reconstruction of areas of the Nineveh Plain.